The initiative comes on the back of IBTM’s ongoing partnership with Positive Impact. Positive Impact recently signed a Memorandum of Understanding with certain United Nation bodies with the intention of creating a sustainable events industry and telling the story of the power of events to meet the UN Sustainable Development Goals. During the event in Barcelona, UN representatives will participate in two education sessions as well as question and answer sessions on the show floor where visitors can find out more about sustainability. Positive Impact will host Ambassador meetups and launch its latest sustainability report which will highlight the importance of collaboration and taking action to understand your own sustainability challenges as the first step in making optimal business decisions. Positive Impact CEO, Fiona Pelham, said: “We are pleased to be facilitating collaboration between the UN, the global events industry and IBTM World. Positive Impact is a not for profit which exists to provide education and collaboration to create a sustainable event industry and tell the story of the power of events. At IBTM World we are ensuring there is an opportunity for our industry to be having conversations about what our next action steps in sustainability could be and how this makes business sense. 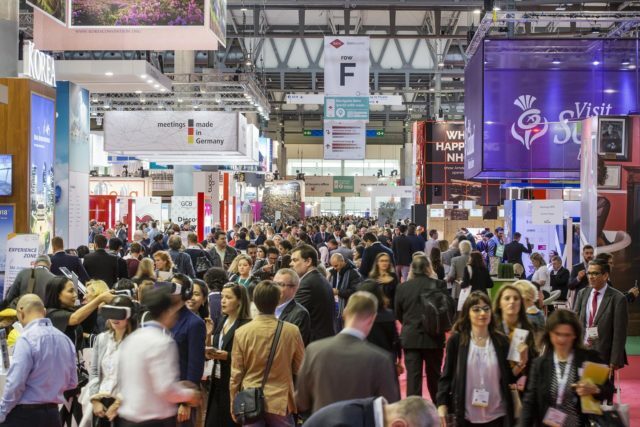 With the support of Positive Impact and to help raise awareness of the sustainability challenges the industry faces when it comes to sustainability, IBTM has released a webinar and questionnaire to support exhibitors with understanding how to measure the environmental impact they have at an event. IBTM World 2018 takes place from 27 – 29 November at Fira Gran Via in Barcelona. This year the event will welcome around 3,000 exhibiting companies from over 150 countries, over 3,500 buyers and thousands of visitors for a packed schedule of meetings, networking and educational sessions. In 2017, over 74,000 pre-scheduled meetings between exhibitors and buyers were arranged over the three days.